Edo Maajka, his real name being Edin Osmic, is a synonym for hip-hop/rap artist on the Balkans. After his 'best of' album, "Spomen Ploca " (A Memorial Board) from 2010, Edo has just released his sixth studio album: "Strajk Mozga" (Brain Strike), previously announced with singles "Imas Ti Sta Para?" and "Panika". The songs and also whole albums sharply and uncompromisingly describe today's post-transition society that has lost its values, people filled ​​with an excess of information and lack of true human solidarity in the universal struggle for money and survival. Since 2002 and his first album "Slusaj Mater" (Listen to the Mother), Edo has won numerous industry awards, including Croatian and Bosnian versions of Grammy’s, as Newcomer of the Year, Album of the Year, Best Song, Best Video, Best Live Performance and others. He was also scoring music for film and theater plays. Edo Maajka is undoubtedly one of the most respected and hottest performers, imposing himself with a positive spirit, high quality lyrics, top performance and excellent beats. He is one of the few musicians who are equally respected and loved in Croatia, Bosnia and Herzegovina, Slovenia, Serbia, Macedonia and the diaspora. Because he lives between Zagreb and Tel Aviv, he is available for live performances only in certain periods. Frenkie is a Bosnian rapper from Tuzla. His songs are about the political situation in Bosnia and about war, as well as about his dislike of bad rapping and commercial selling-out. Frenkie is working hard towards achieving his dreams, and is associated with Edo Maajka and Disciplinska komisija, a crew of which they are both part of. Frenkie's first album, Odličan CD, was released in 2005. It included the singles "Bruce Lee Rap" with Baby Dooks and "Raise" with Defence. Frenkie's second album, DOSTA! 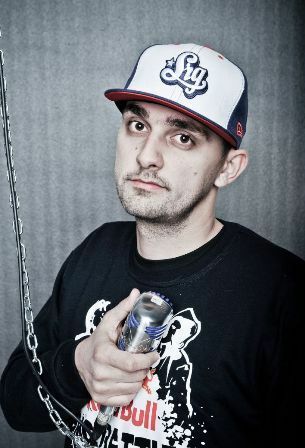 ", featuring his beat maker King Mire from Brčko, was released in June 2006 and was dedicated to the movement of the same name, which is gaining popularity in Bosnia. Singles from the album include "Rat Savezu" which was dedicated to the Bosnian Soccer Fans "BHFANATICOS" in their war against the corrupt Bosnian Football Federation; Frenkie has released a video clip for this hit song. He has also released a video for "Mr Policeman". The title track of his album, Povratak Cigana (2007), was released as its first single on FMJAM's website. In addition to his solo work, Frenkie has featured on many Disciplinska Komisija songs such as "America 2" and "Ustaj", and on Edo Maajka's albums on "Ozezi", "Ne-Mo-Zes" and "Stvoren Za Rep". In the summer of 2008, Frenkie's song 'Soundtrack' (from the album Odličan CD) was used in the movie The Incredible Hulk. The song was used in during a very rough cab driving scene featuring Edward Norton and Liv Tyler.